Hibiscrub chlorhexidine gluconate antimicrobial skin cleanser disinfects (removal of surface bacteria) from the skin. 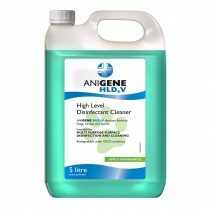 Contains Chlorhexidine gluconate 4.0% w/v, is incredibly effective antiseptic and disinfectant that can be used in hospitals and in the home. 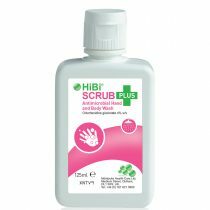 Wet the hands and forearms, apply 5 ml of HiBiScrub and wash for 1minute cleaning the fingernails with a brush or scraper. Rinse, apply a further 5 ml of HiBiScrub and continue washing for a further 2 minutes. Rinse thoroughly and dry. 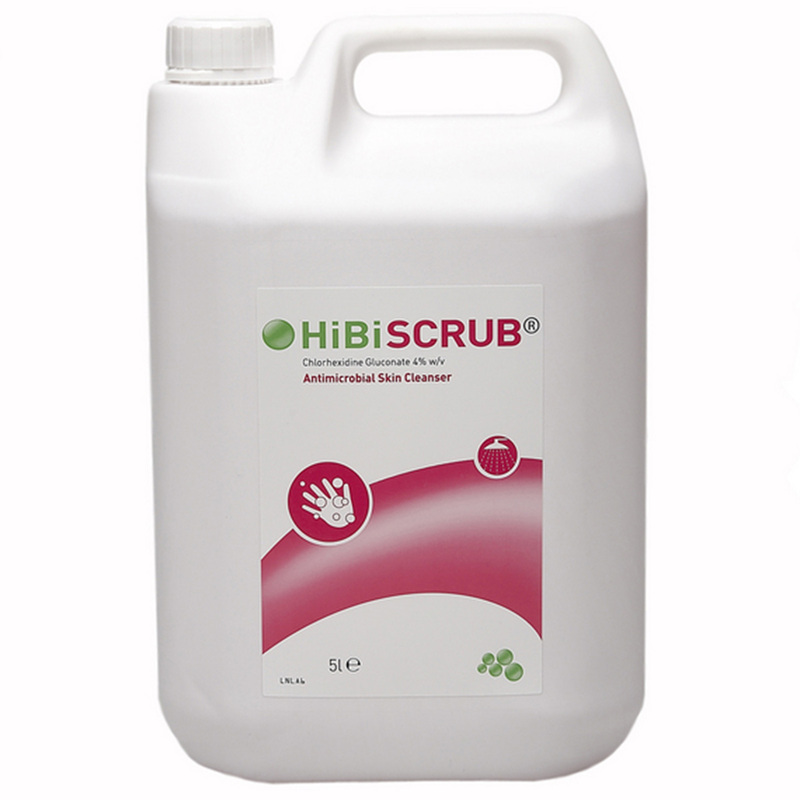 Wet the hands and forearms, apply 5 ml of HiBiScrub and wash for 1 minute. Rinse thoroughly and dry. The day before operation the patient washes with 25 ml of HiBiScrub beginning with the face and working downwards paying particular attention to areas around the nose, axillae, umbilicus, groin and perineum. The body is then rinsed and the wash repeated with a further 25 ml, this time including the hair. Finally the patient rinses his entire body thoroughly and dries on a clean towel. This procedure should be repeated the following day. Patients confined to bed can be washed with HiBiScrub using a standard bed-bath technique. Conventional disinfection of the operation site will then be performed when the patient is in theatre. The patient washes his whole body, excluding the operation wound, in the bath or shower usually on the third day after operation using the procedure described above. There are no special dosage recommendations for either elderly patients or children. The normal adult dose is appropriate unless recommended by the physician. 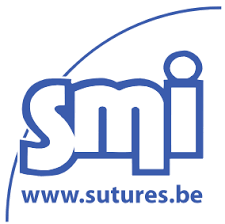 In patients with head or spinal injuries or a perforated ear drum, the benefit of use in pre-operative should be evaluated against the risk of contact. D-glucono-delta-lactone, Isopropyl alcohol, Lauryl dimethyl amine oxide, Perfume (herbacol 015393 TD), Polyoxyethylene-polyoxypropylene block copolymer, Ponceau 4R (E124), Sodium hydroxide, Glycerol, Macrogol-7 Glycerol Cocoate, Purified, water. 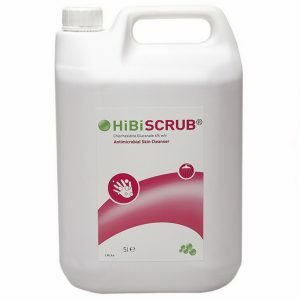 Antimicrobial skin cleanser HiBiScrub®contains chlorhexidine gluconate, which unlike soaps and gels, binds to the skin and offers persistent, superior protection for six hours2. The efficacy is strengthened upon repeated application3. HiBiScrub containing the active chlorhexidine gluconate has a significant proven efficacy killing a wide range of Gram-negative and Gram-positive bacteria, yeasts, fungi and viruses4. 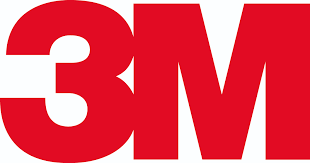 Helping to provide protection against surgical site infections and incision site bacterial growth of microorganisms in less than 60 seconds5. This helps to provide protection against surgical site infections6.